Stepped cylindrical – the most common type, cheapest to manufacture, different diameter at each end to provide the required gain. Exponential cylindrical – development of the above with exponential shape to reduce the stress in the sonotrode, has lower gain capability. Catenoidal cylindrical – combination of stepped and exponential, reduced stress and moderate gain. Mother/Daughter – assembly of smaller sonotrodes onto a large block sonotrode to enable a number of sonotrodes to be run on a single system. Bell – sonotrodes with the centre bored out to provide gain, allows the use of the maximum sonotrode diameter for welding. 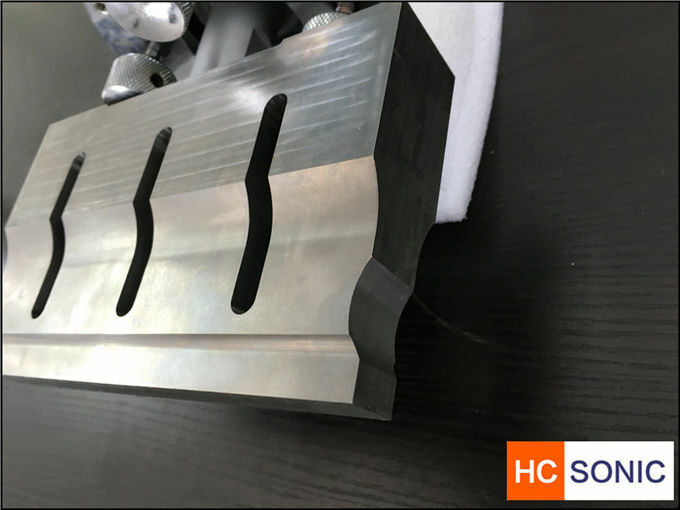 Block – rectangular sonotrode, no gain, for welding large flat components. Blade – rectangular sonotrodes with gain suitable for long or narrow welds. Slotted – cylindrical, bell, block or blade sonotrodes above certain sizes need to be slotted to eliminate spurious frequencies being developed in sonotrode which would be detrimental to their operation. The gain in a sonotrode can generally be determined by expressing a comparison of the surface area at the end of the sonotrode as a ratio. Further information on sonotrodes is given in the sonotrode design section of this course. In high-power industrial ultrasonic liquid processors, such as commercial sonochemical reactors, ultrasonic homogenizers and ultrasonic milling systems intended for the treatment of large volumes of liquids at high ultrasonic amplitudes (ultrasonic mixing, production of nanoemulsions, solid particle dispersing, ultrasonic nanocrystallization, etc. 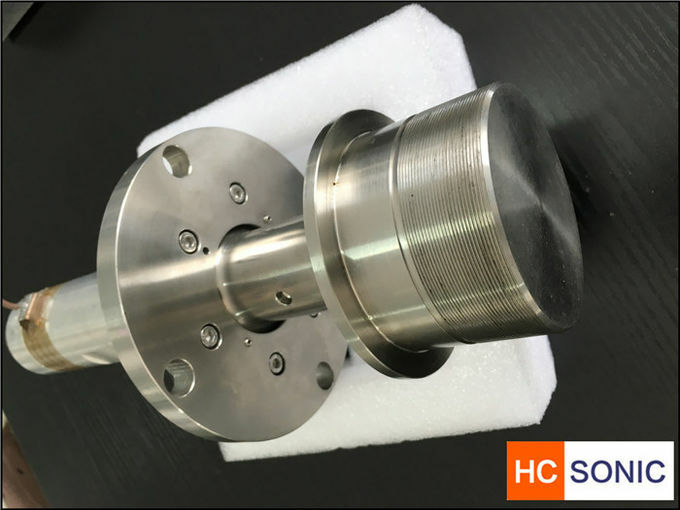 ), the preferred ultrasonic horn type is the Barbell horn.Barbell horns are able to amplify ultrasonic amplitudes while retaining large output diameters and radiating areas. It is, therefore, possible to directly reproduce laboratory optimization studies in a commercial production environment by switching from Converging to Barbell horns while maintaining high ultrasonic amplitudes. If correctly scaled up, the processes generate the same reproducible results on the plant floor as they do in the laboratory. As sonotrodes wear during extended production, the surface will become marked or pocked. Many times, these marks can be alleviated by the manufacturer so as to extend the life of the sonotrode. 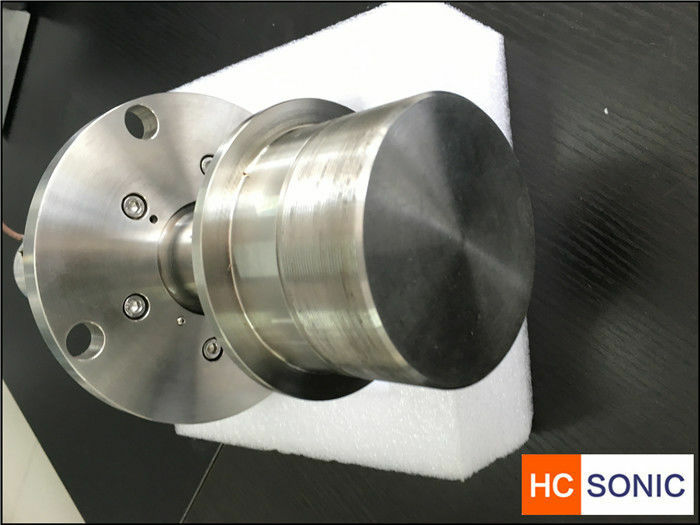 However, since the overall length dictates the frequency of vibration, changes in length caused by machining can change the tuning of the sonotrode. Typically, these can be refaced or resurfaced a few times depending on the gain of the sonotrode. Again, this is best left to those with the experience and equipment to do so.